Bukhave: FOUND IT! 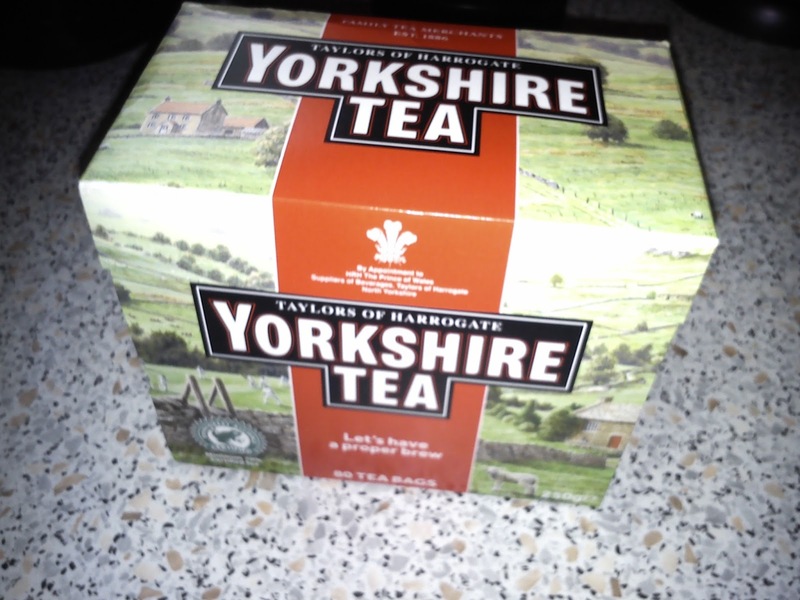 Yorkshire tea! 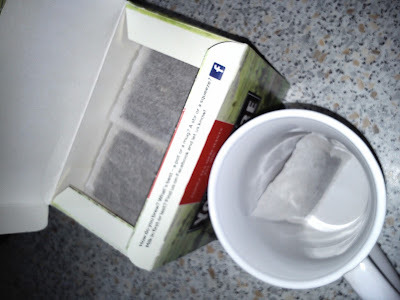 I think im the only one around that can be so excited about tea, but i have been looking for this tea for a while! I don't know why, but my dad skiped across some sport channel (why do we even have that?) and saw some football, or soccer if you want to be difficult, but on some of the players shirts that was a advertising sighn saying "yorkshire tea." 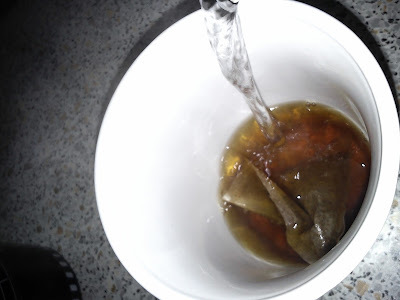 I have never hear about a football team be sponsored by tea before xD and i still don't know who they were because i was not really paying attention, but i looked up the tea and i became curious about this tea because it looked sooo british, if you can say that? But we do not really have this special kind of tea in Denmark... so i though!! 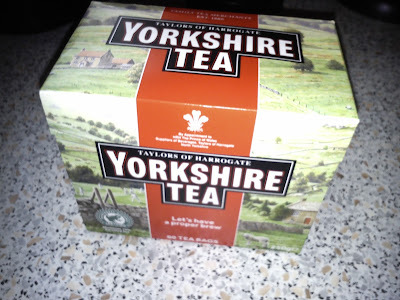 I have been looking around the internet and thinking about buying it online and make then send it to me here in Denmark, BUT when i was in one of the big supermarkets, Frost Super Best, i found this little area and they had a british/american market and OF COURSE i found my tea! And there was only one left! I paid 55DKK for it.. a bit more than 7€, but i think it was worth it! It has 80 teabags and they are for more than one cup each! Or else you will have a very strong tea! I got the classic which is a strong black tea as i like it! Yey! The Lord of the Rings Online game!